It’s summertime and the living is easy. But if you’re like us, you want to make sure your children have fun, are occupied and never stop learning! Whether you’ve enrolled them in summer camps, day care, or will be at home with them – KIBO is a perfect fit. Created after more than fifteen years of child development and learning technologies research, our robot kit is developmentally appropriate and approachable. Its customizable art platform allows for open-ended play and collaboration, while its familiar wooden blocks effortlessly teach sequencing and programming concepts. 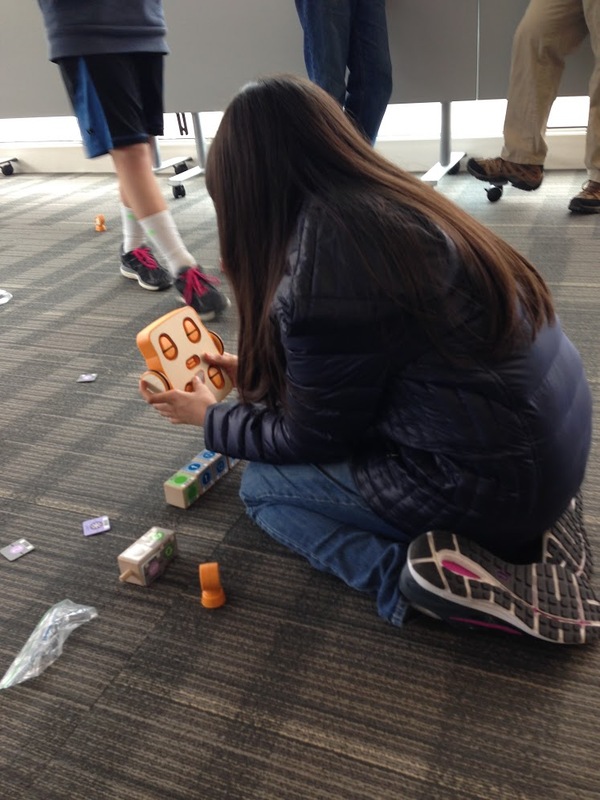 If you subscribe to our Child’s Play newsletter, then you know KIBO will be popping up a few summer camps over the next few months including the LEXPLORATION summer program and the DevTech Summer Program at Tufts University. If you’re interested in introducing KIBO to your summer camp or program, get in touch today. If you’re a parent, grandparent, babysitter or really generous neighbor who wants to help a child code with KIBO this summer, browse our options in the shop. You may remember our big news from earlier in the year when we moved into our first manufacturing headquarters. You can now find us just off Route 128 in Waltham, MA. We’ve had such a great time settling into our new home, manufacturing KIBOs for kids, educators and parents worldwide, and holding in-depth training sessions and workshops. If you would like to get a glimpse of our new headquarters, then follow KIBO for a guided tour of KinderLab Robotics! You can learn more about our mission, KIBO and our team on our website. And remember, if you haven’t already signed up for our monthly newsletter, Child’s Play, you can sign up here.